Party essentials don’t have to be boring! Perfect for summer weddings, picnics and other celebrations these Vintage Rose napkins combine practicality with gorgeous design. 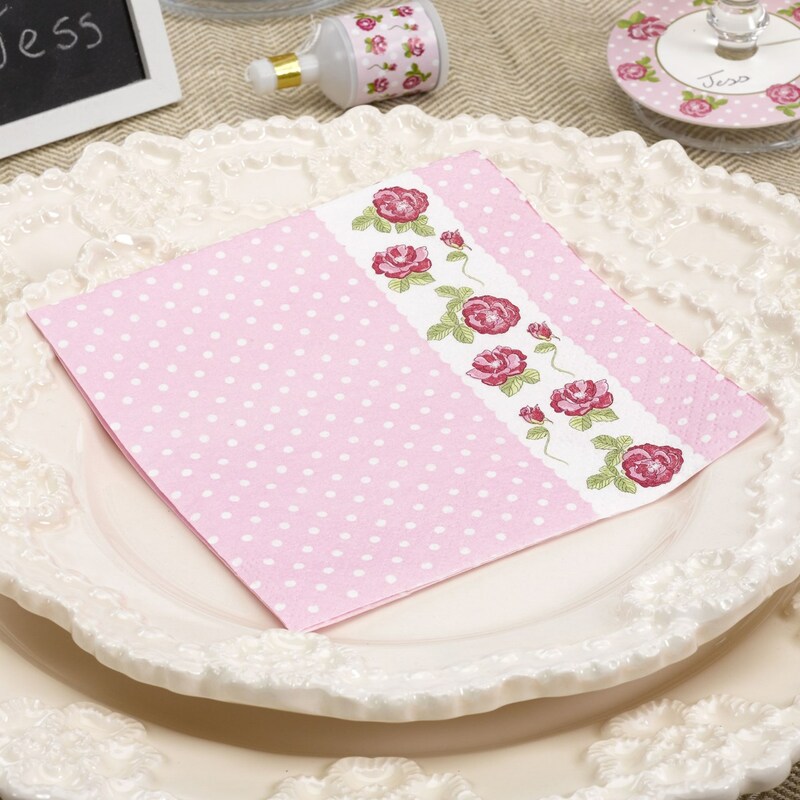 Featuring a delicate pink and polka-dot design with rose trim, these pretty napkins co-ordinate with the full range of Vintage Rose party pieces. Each pack contains 16 Paper Napkins.